The confluence of popular demand and fandom can be an inscrutably powerful thing. When two such forces come together, the decision-makers act, and the loyal get what they want. 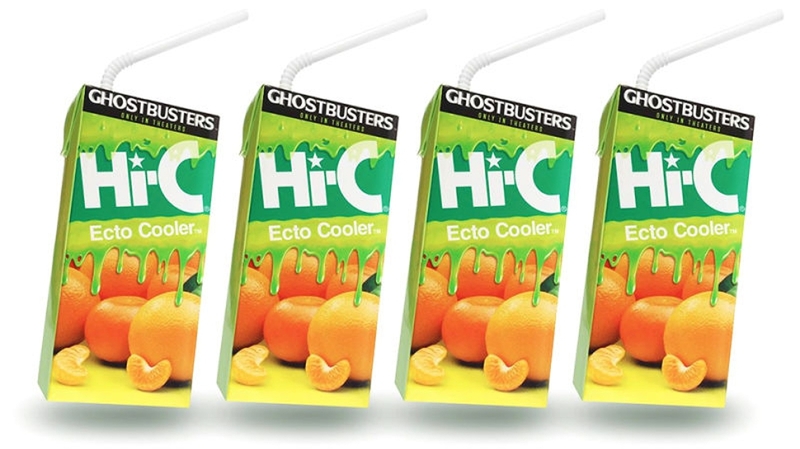 Anybody who grew up in the 1990’s and was even remotely nerdy remembers drinking and loving Ecto Cooler, the Ghostbusters-themed citrus drink made by the juice company Hi-C. The green-colored mixture of water and high-fructose corn syrup came in those ever-so-convenient juice boxes that you could throw in your lunch box, as well as in those large, not-so-convenient cans , the tops of which you had to puncture with one of those old-timey can openers. The memorable beverage was released to coincide with The Real Ghostbusters cartoon that ran from the mid-80’s to the early 90’s. Ecto Cooler actually had quite a long run – it wasn’t discontinued until 2001, long after the cartoon stopped airing. Supposedly an orange and tangerine-flavored drink, there was something about it that ran deeper than that. Something was different. Something that my fellow nerds and I can’t quite explain, but still remember vividly. Fifteen years hence, Coca-Cola, who owns Hi-C, has answered the call of nostalgia, and of those kids who are now in their 30’s, thirsty for memories and a side of diabetic shock. This time, Ecto Cooler will hit shelves to celebrate the release of the new female-fronted Ghostbusters film, which will ruin a grand total of zero childhoods (but that’s a discussion for another time). The fandom that burns happily within me covers a wide array of creations and characters, but The Ghostbusters, for me, are the flame eternal. When it comes to anything Ghostbusters-related, I either have it or want it. 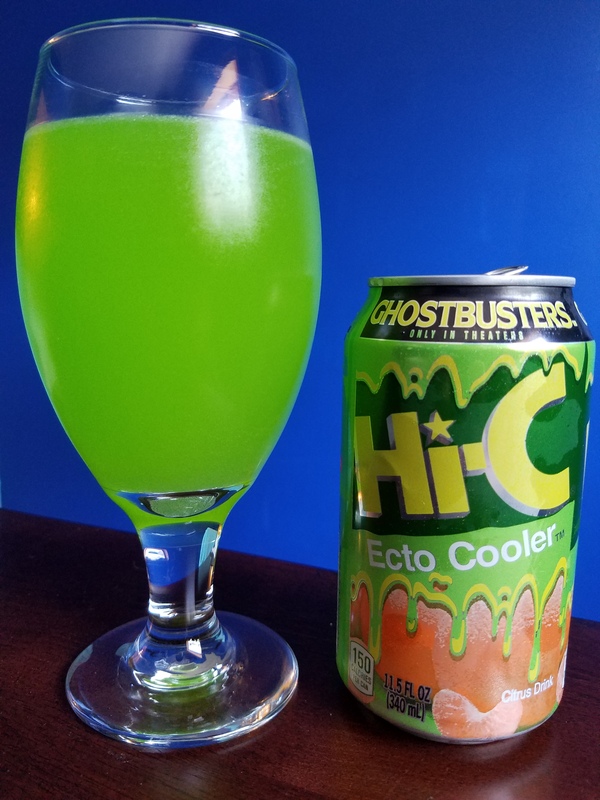 Those four fictional paranormal investigators and eliminators have always and will always remain perched atop the summit of my nerdy desire, so when I heard that Ecto Cooler was to be re-released, I nearly exploded with glee. Ecto Cooler was officially released on Memorial Day this year, and the next day, I began my search for that long-gone piece of my childhood. Tried Target first, no dice. I don’t even think they sell any flavor of Hi-C. After that, I went to my local Shoprite, and after eyeballing the juice aisle to no avail, I actually stopped one of the employees to ask. He looked like a manager, so maybe he’d know. While I’m spitting out the question, I’m trying with all my might to hold back a giddy smirk. Still nothing, but he said he would find out. I went on my not-so-merry way. That very night, remembering that I was clued in to the fact that it was being sold by the case on Amazon, but had been sold out, I decided to give everybody’s favorite shopping website another look. And there it was. Twelve shining cans of childhood memories, for a total of about $14 bucks with shipping, available and ready for the taking. Two nights later, I came home from work to find my package on my doorstep (which also included a case of Surge, the radioactively-toxic but delicious soda from the 90’s which also just had its comeback). I chilled a few cans for the evening, which I’m told are supposed to change color as they cool (they didn’t, not even a little bit), and finally cracked one open. The mere smell of it brought me back to the days of playing with my Ghostbusters toys in the basement, and loving life. It was a simpler time. I poured the contents into a glass, and the bright but opaque green liquid was just as I remembered it. Even if you can see past the whopping 41 grams of sugar, you can’t see through it. There was no change in the recipe here. This is Ecto Cooler, point-for-point. Getting it onto shelves might be a slow process for Coca-Cola, but it’s starting to happen. Ask your local grocer to stock it, and you might just get your wish! Ecto Cooler is available in 11.5-ounce cans and in the juice boxes, just like old times. This is a monumental occurrence for Ghostbusters fans. When you find it, remember and enjoy! How long will Ecto Cooler be in stores for? I would imagine that it will be out for quite a while, as a lot of stores are still trying to get it onto their shelves and that in and of itself will be a long process. The only thing better than the taste of Ecto-Cooler is its color. I’m seriously considering having my bridesmaids wear Ecto-Cooler green dresses. The color is amazing, indeed. Congratulations! I love that idea, go for it!